Speaking of Ozette: dSpace resources. The "White Series" Ozette reports are freely available for download! 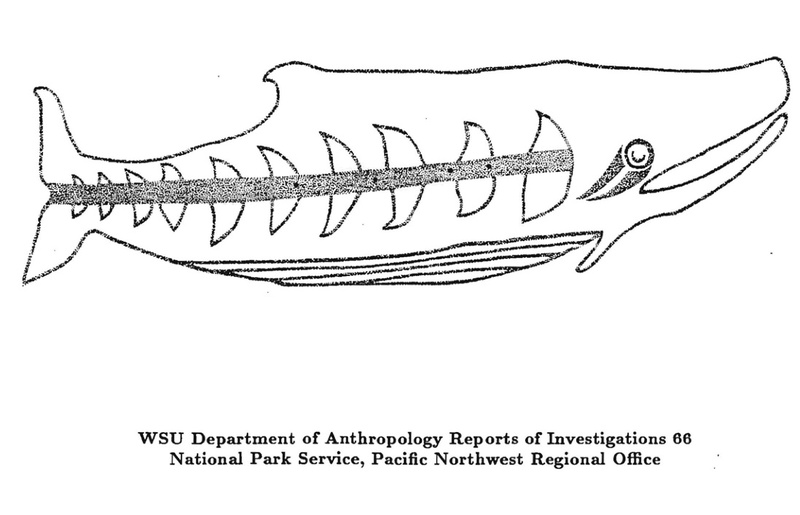 Image shows house-plank decoration from the Ozette Site, used as cover art for these reports. This space has recently carried a lot of items about the Ozette water-saturated site on the Olympic Peninsula, about Makah whaling, and Queets canoes, and other wet sites in Washington State. All archaeologists and many of the public in the Northwest are familiar with the Ozette site which, with its fabulous preservation has stimulated a lot of work on the archaeology of the big houses which so characterise the culture area from the Columbia to the Gulf of Alaska. A principal way most archaeologists are familiar with Ozette is through the three large site reports published by Washington State University, bound as large white paperbacks, and found on the bookshelf of archaeologists across the region. Whelchel et al. Ozette archaeological project research reports volume III ethnobotany and wood technology. 2004. Link to download page. (288 megs). 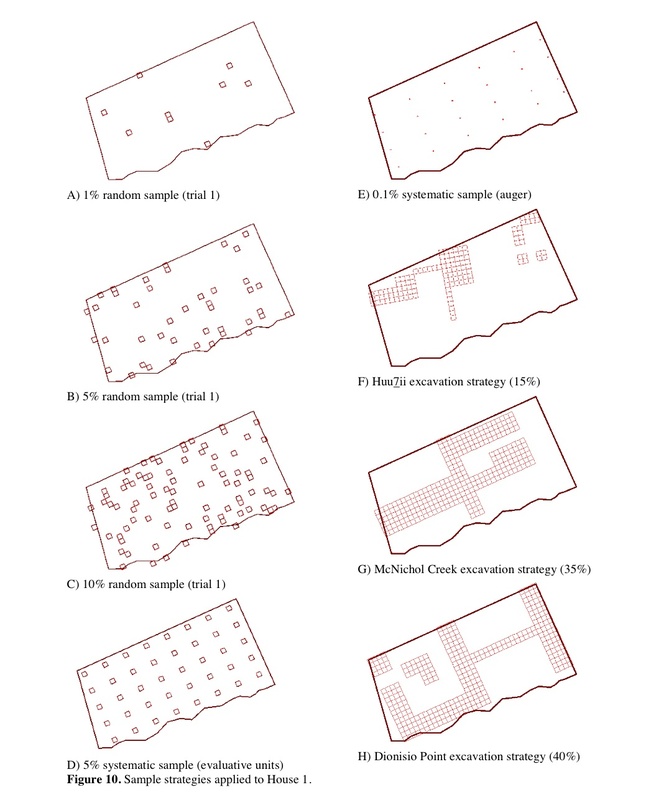 While you’re at it, pick up Dale Croes’ pioneering 1974 computer applications in archaeology paper: The use of computer graphics in archaeology : a case study from the Ozette site, Washington. Link to download page. (149 megs). UPDATE March 3/2010: the handle.net URLs have been broken for a couple of days. Try this link to get straight to WSU dSpace for Ozette. If that breaks ( a lot of places prevent stable URLs from search results because obviously people never want to share things) then go here and enter “ozette” in the search box. These PDFs are fully searchable which makes finding things within the copious material of the Ozette site much easier. The huge number of artifacts, features and fauna from Ozette have been a blessing and a curse, as interpretation struggles under the dead weight of data. I would therefore be remiss if I didn’t bring to your attention the excellent M.A. thesis on Northwest Coast household archaeology by UVIC’s own Brendan Gray, who uses Ozette as a test-bed to investigate how we might be able to dig less but dig smarter and therefore learn more from Northwest houses. Every NW Coast archaeologist should read this thesis. Anyway, I know many readers might find this to be too much inf.ormation, but I don’t believe it is common knowledge that these full text Ozette reports are freely available: the WASU servers are fast, hard drives are cheap, and the reports are first class. Enjoy. Simulated and actual sampling designs projected onto Ozette house floors. From Brendan Gray M.A. thesis. This entry was posted in Archaeology, dSpace, Northwest Coast, Washington State and tagged Archaeology, Binky, household archaeology, Loafer, Makah, Northwest Coast, Ozette, Public Archaeology, Washington State, wet sites. Bookmark the permalink. this is truly amazing thanks! Hi twoeyes, yeah it is amazing. I’m putting together a separate page on all the incredible stuff now available on dSpace across institutions. There are hundreds of full text NW Archaeology documents I’ve got bookmarked and now it’s just an assembly job. q. About the Brendan Gray thesis – this is an important contribution to researchers and cultural resource managers alike. In fact, while it is not overtly a CRM thesis, it is one of very few from BC that has any actual utility to cultural resource managers. A must read for professionals that are digging NWC houses. Glad to find it on line. Also, professional’s should check out the Archaeology Branch on-line library. A password must be obtained from the Branch to protect the site locations from vandals. What you will find is all the permit reports back to 1960 (except a few that are not licenced for posting). They can all be searched at one time, and very quickly. Keep in mind that OCR technology is not perfect and some things are not easily searched. Perhaps the main weakness is dashes “-” which occur in both permit numbers and Borden numbers. A search in quotes, without the dash, will overcome this problem. Like “1996 203” or “DgRr 2”.